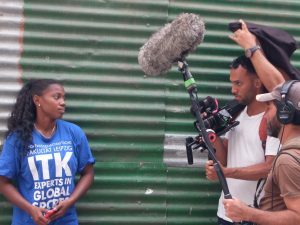 A documentary about a Cuban family facing an uncertain future has its world premiere Feb. 12 at the Berlin International Film Festival, one of the world’s most prestigious cinema events. “La Arrancada” (On the starting line) is a debut feature by Brazilian director Aldemar Matias, focusing on a young athlete who is having doubts about her role in national sports in the Caribbean country. The narrative follows her as she considers her future, which may well lie abroad, she reluctantly realises.